The Most Important 10 Days In a Muslim’s Life – What Are They and Why? The Prophet shallallahu 'alaihi wa sallam was reported to have said: "The one who cares for an orphan and myself will be together in Paradise like this, and held two fingers together." Help us bring some change into the lives of the orphans, by donating as much as you feel, you can. Without a proper guidance and education, they are very well on the verge of turning towards a life of chaos driven by activities on the street. How long before they turn towards a life of crime. 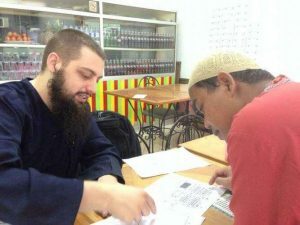 us-Sunnah Foundation is dedicated to spreading authentic Islam through multiple programs which include building masjids, charity, online communities, etc.